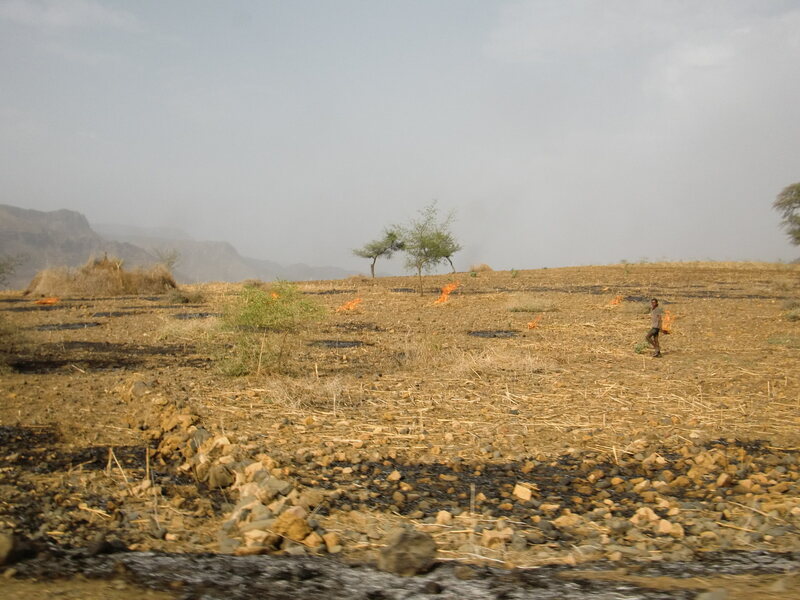 The burn-and-plow strategy has severe negative impacts for the African farms. Eroded soils can barely retain rain water and crops suffer stress. Regenerative farming combines organic amendments with soil improvement measures increase the retention of water and nutrient in the productive soils and regenerate them each season. 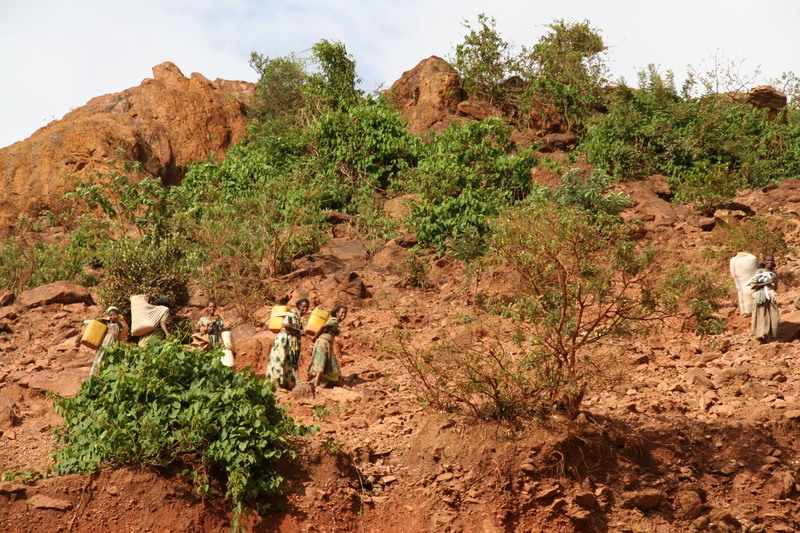 Just before the rain season, the activity in he Ethiopian countryside is frenetic. Farmers must get the land ready for the rains. Heavy clay soils need to be plowed between 3 and 4 times to receive the rains. Plow, sow, add fertilizer when they can afford it, and clean the fields. Normally by cleaning they mean burning the vegetable rests from the previous crop. My good friend Atle, a farm manager in the area of Rema, told me that farmers have their reasons to burn the crop rests just before the rain is coming. They might have it though they cannot tell me why they do it. They cannot tell me also why they plow so much. The motto seem to be to keep the land clean and rationally ordered, to make it look similar to the land of the photos in the folders of the products they can barely afford. third to build all there anti-erosion structures to divert the water, infiltration ponds. In the end, farmers work hard trapped in a -rat race- management system that only makes it poor. So if there is a reason for the plowing and burning system, it must be very powerful because the price farmers pay is very high probably too high. I ask my self: How about land management to improve soil fertility? How about mulching+ green manuring + use of microorganisms+ rock dust minerals system?